Watch out when you walk down Las Ramblas in Barcelona, you could fall in the claws of a demon and lose your pure soul forever, although for many of us sinners, it would be too late. I don't know who is more amusing here, the statue or the victims. This demon is a classic figure within the bunch of well known human statues spread over the famous walk. 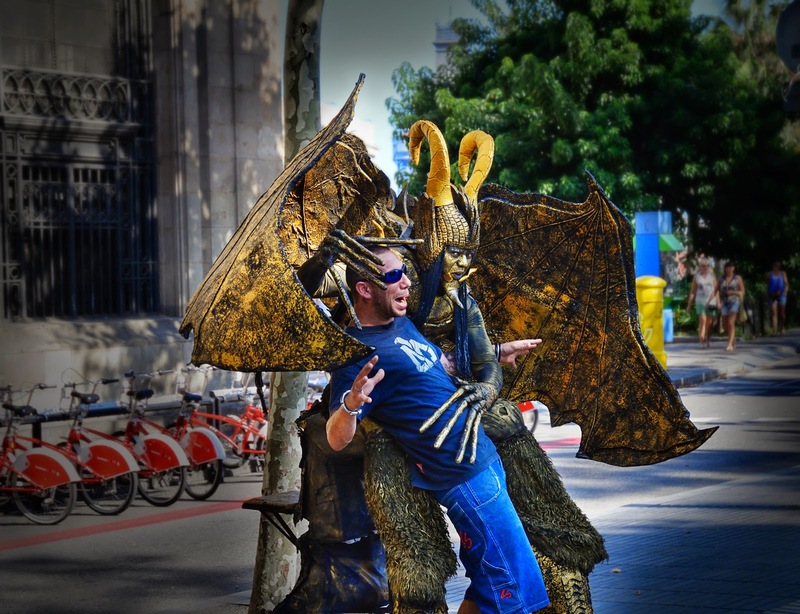 Here is another example of living statues featured in Barcelona Photoblog in the past. Carlos, I would die of fright. But at least I would die having seen Barcelona!